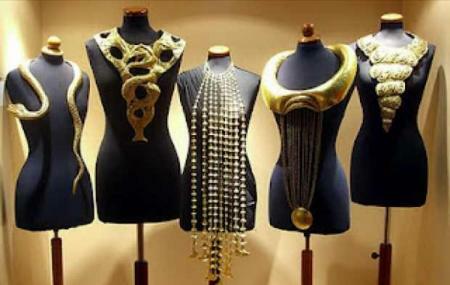 Find hotel near Ilias Lalaounis Jewellery .. Founded in 1993, The Ilias Lalaounis Jewellery Museum is an exceptional museum devoted to the art of jewelry. Today, the museum’s permanent collection includes over 4000 pieces of jewelry and micro sculptures designed by the museum’s founder, IliasLalaounis. The permanent collection also has on display jewelry from all across the globe. Photography is permitted only with prior permission. Museum visitors are subject to security inspection. No food or beverages are allowed in the Museum exhibition spaces. Smoking is not permitted in the Museum floors. Free entrance for kids under 18 years, people with special needs and their companion, archaeologists, teachers, artists and journalists. How popular is Ilias Lalaounis Jewellery Museum? People normally club together Stoa Of Attalos and Thalaspa Chenot while planning their visit to Ilias Lalaounis Jewellery Museum. Amazing place, kind and polite staff, very informed about the collections. Nice designs and curating. I was pleased. A wonderful small musem with the latest jewelry creations by the Lalaounis family. Worth stopping by while visiting the Parthenon and the Acropolis museum. It's only around the corner and worth it! Small "museum" with pieces inspired by historical artifacts. Free on Saturdays fortunately so we enjoyed our 15 minutes inside and then had a laugh the rest of the day as we walked by jewelry stores in the city and called them museums. Many of the pieces were quite beautiful but you would have to have a particular fondness for the jeweler himself to make it worth a stop with so many other things to see in Athens. The best experience if you are into contemporary jewellery. Amazing! Don't miss it if you are in Athens.